If you liked Thaddeus Whiskers and the Dragon . . . This is the start of a new feature I'm going to call simply "If you liked . . ." where I match one of my books up with another indie author's work. This feature will be every other week, and will often feature prizes, so stay tuned! If you are one of the delightful readers who have read both, then just zip on through to the Rafflecopter below and enter to win paperback copies (for a friend if these books are already sitting on your shelf). . . If you need some convincing, here are some reasons why readers of Thaddeus Whiskers might also want to spend some time getting to know Toby the Trilby. Toby is scifi and Thaddeus is fantasy but the both feature a small but determined protagonist who struggles towards his goal. Both are written intelligently but easily, pulling no punches with vocabulary while telling a story kids will understand and enjoy. Toby has cat ears. Thaddeus IS a cat. 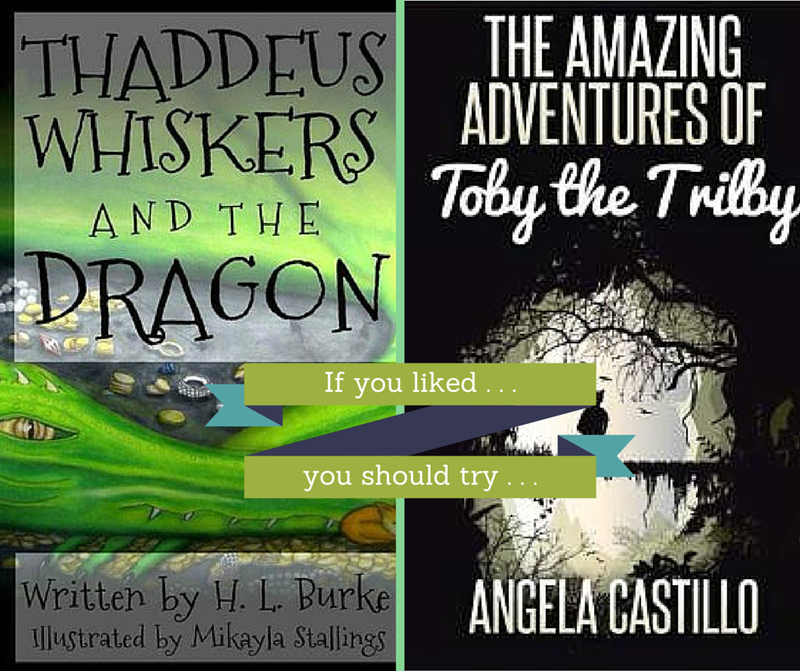 Both books have adventure, humor, and heart. Both have a fast-moving storyline to keep children's interest. Both are great to read aloud. Both show that people have unique gifts that can be used, no matter how big or small. This is a fantastic giveaway! Would love to have these books for my daughter's summer reading. Thanks for linking this to the hop. Thanks for stopping by. Good luck with your entries. How interesting to show similar books.. not only a great way to pair readings for before and after but also to show similar interesting books. thanks for joining us on KidLitblogHop this week. Thanks for dropping by! I'm hoping to make this a regular feature (though not all book matches will be kid lit. I'll link the ones that are) on my blog. I know when I was a kid, if I put down a good book, I was in a hurry to find something "similar but different." Thanks, Mia. Hope to run this again with other books soon. Great to have discovered your gragon book via the #kidlitbloghop - my son loves dragons! Dragons are awesome! Thanks for stopping by.